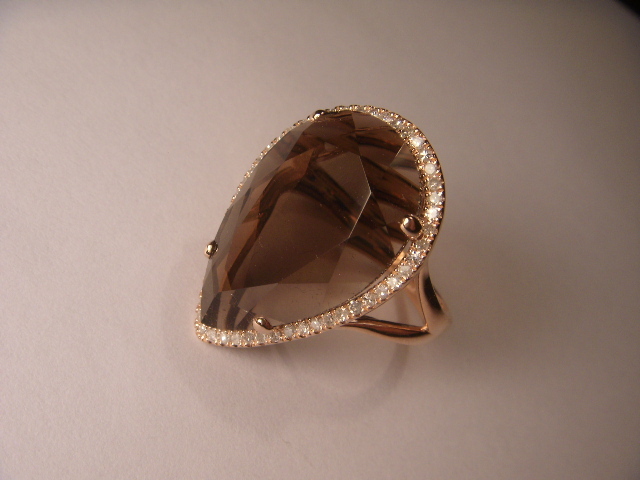 14K pink gold smokey topaz and diamond ring. 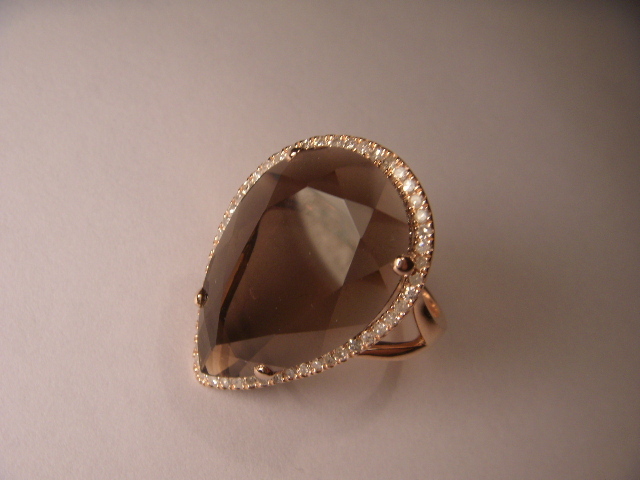 This gorgeous piece features 1 smokey topaz, measuring 22 mm by 15 mm and weighing 7.2 carats and numerous micro pave diamonds, totaling .30 of a carat. 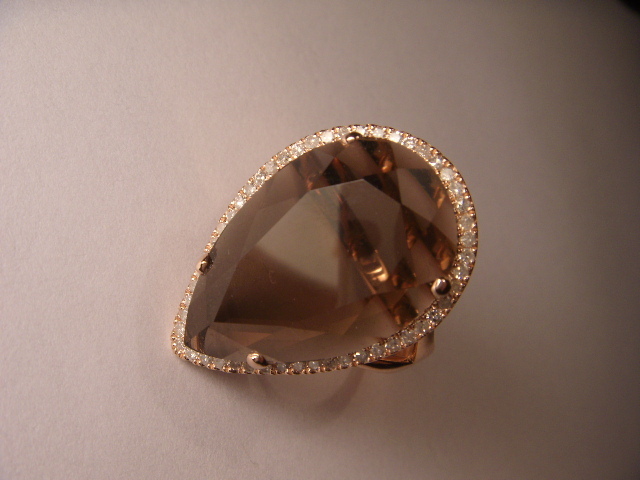 All gemstones are natural. 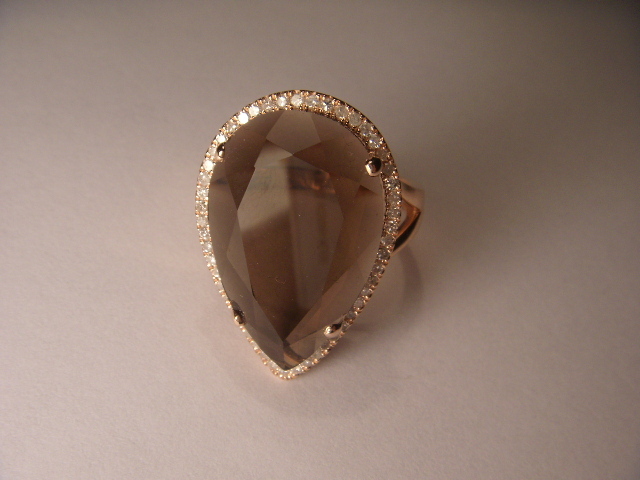 The ring is a size 7. Sizing is available. It weighs 5.3 grams.